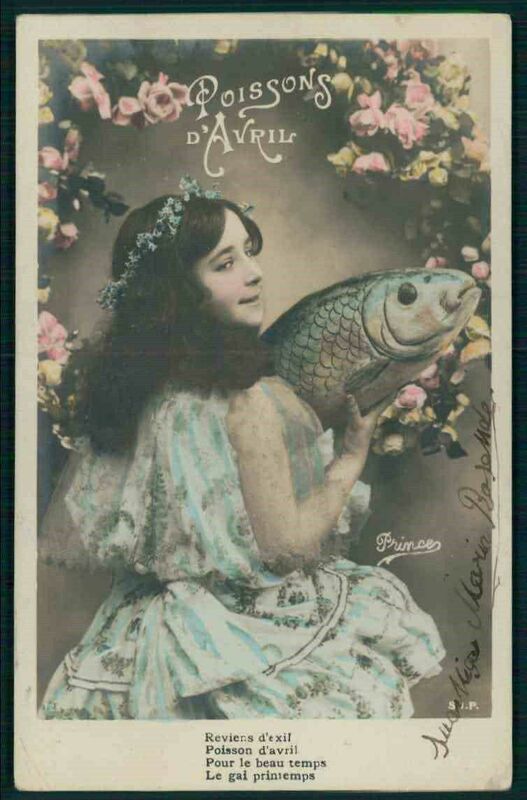 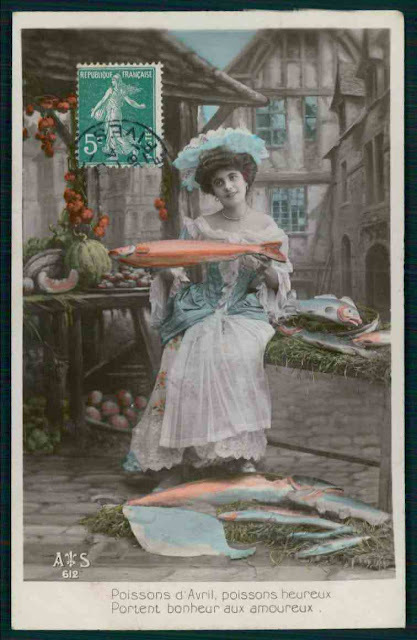 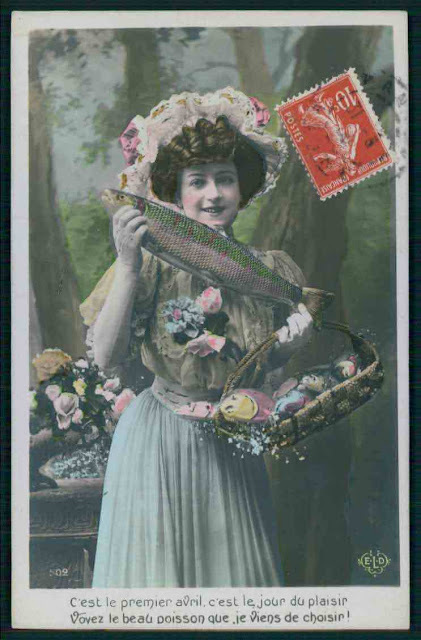 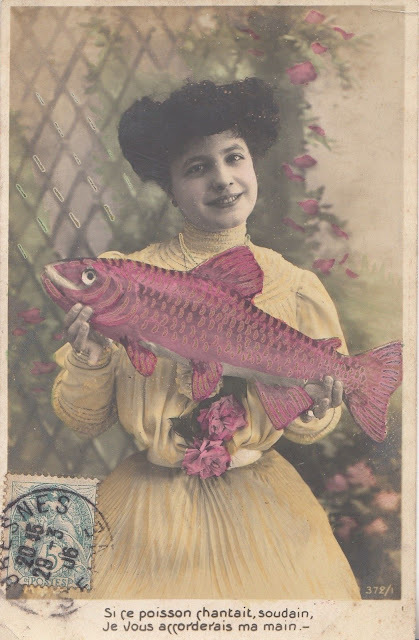 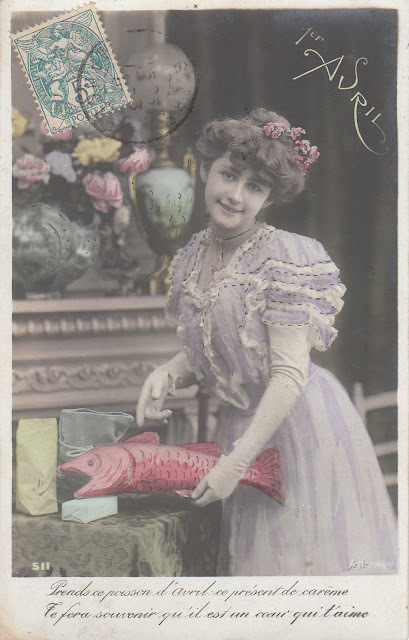 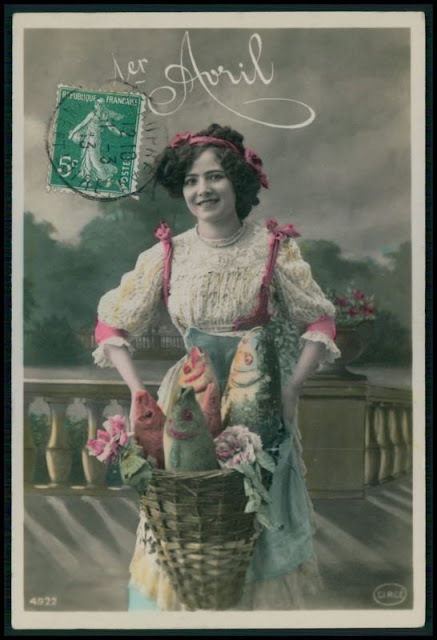 In France, April fool is called April fish because of the traditional prank, played on the first of April. 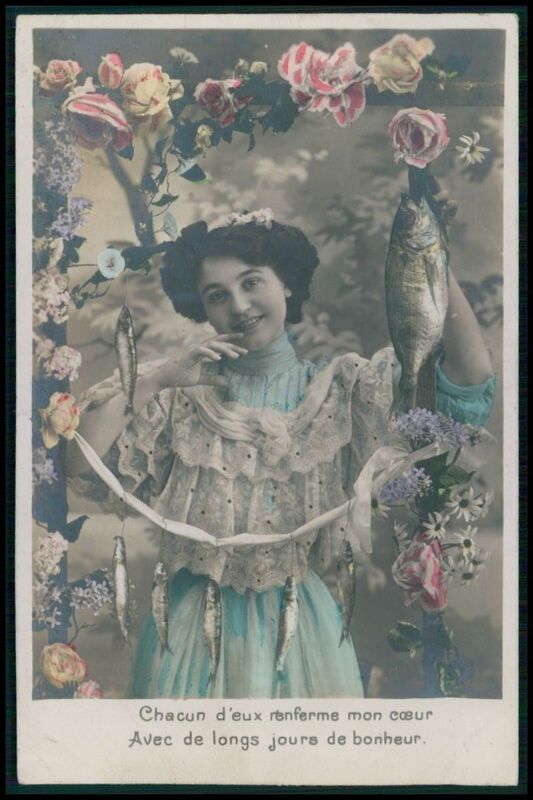 Friends and relatives tried to stick a paper fish onto somebody’s back and when poor thing discovered it at last, all of them bursted into laughter crying out: “April Fish!” This prank is played till present and can be called a gentler prototype of “Kick me” signs. 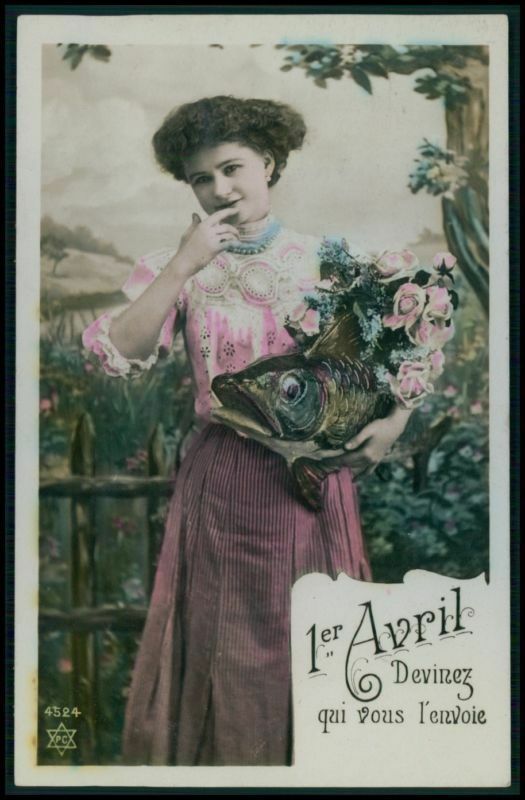 Of course, we couldn’t miss the opportunity to make you smile on “April Fools’ Day” and cooked something really odd for you. 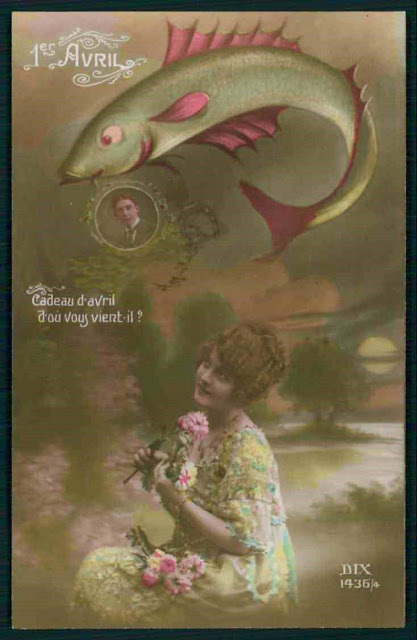 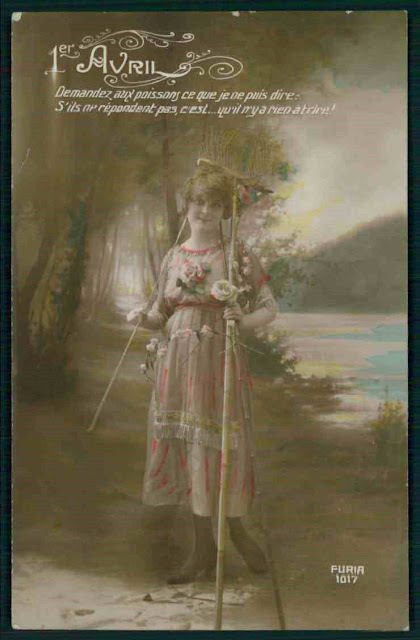 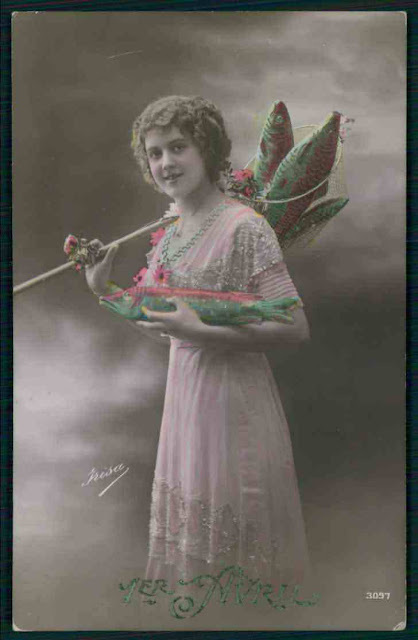 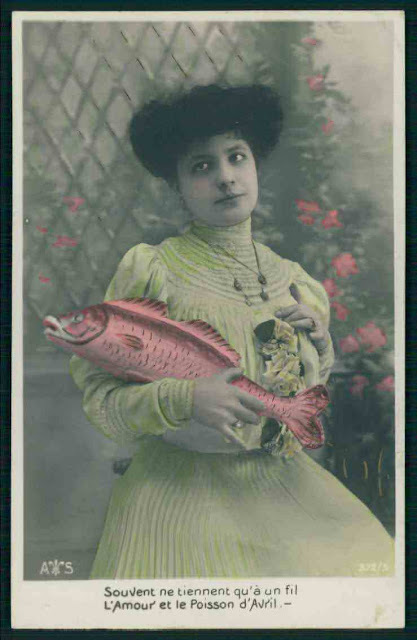 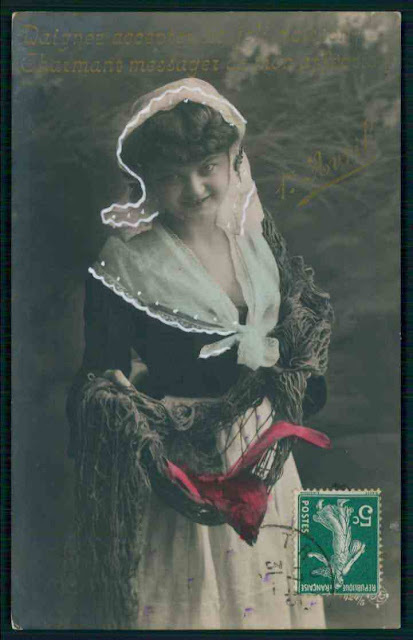 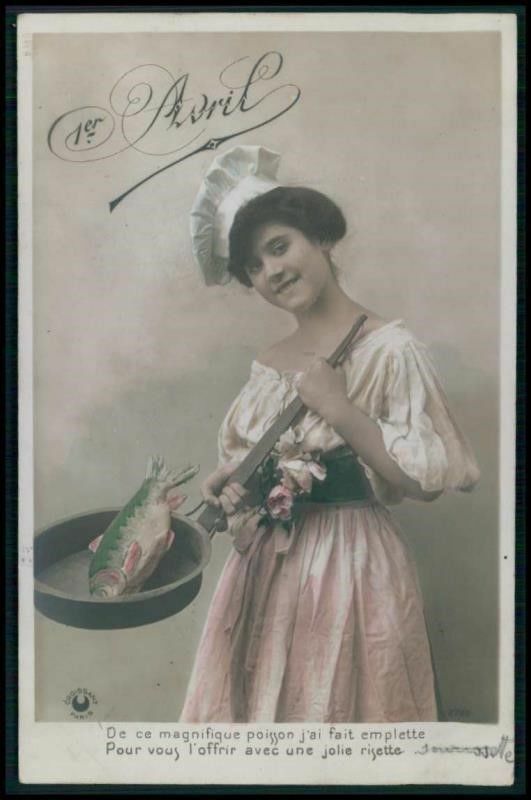 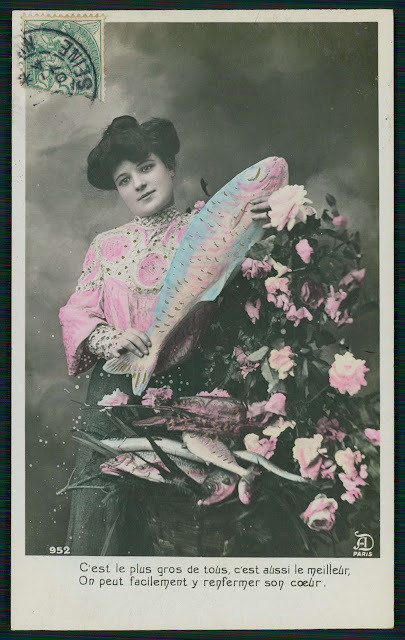 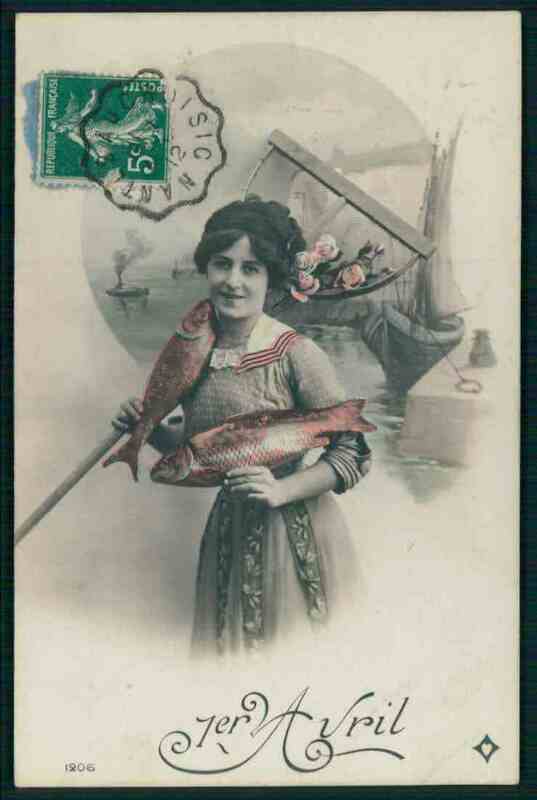 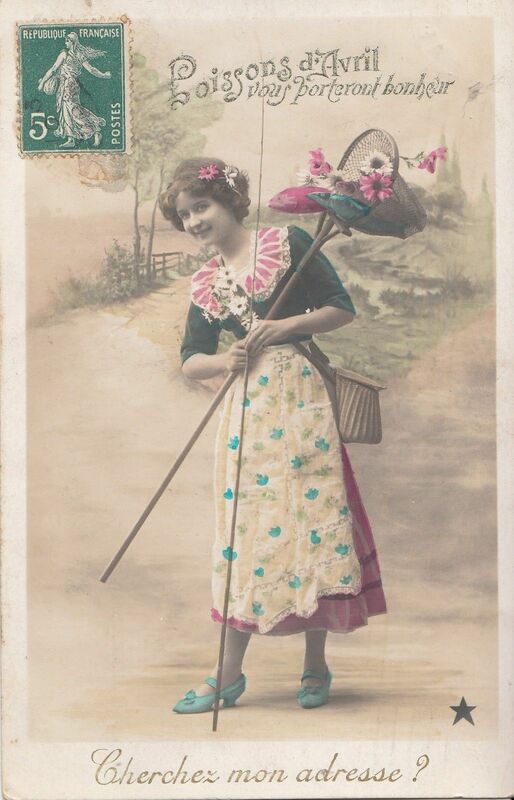 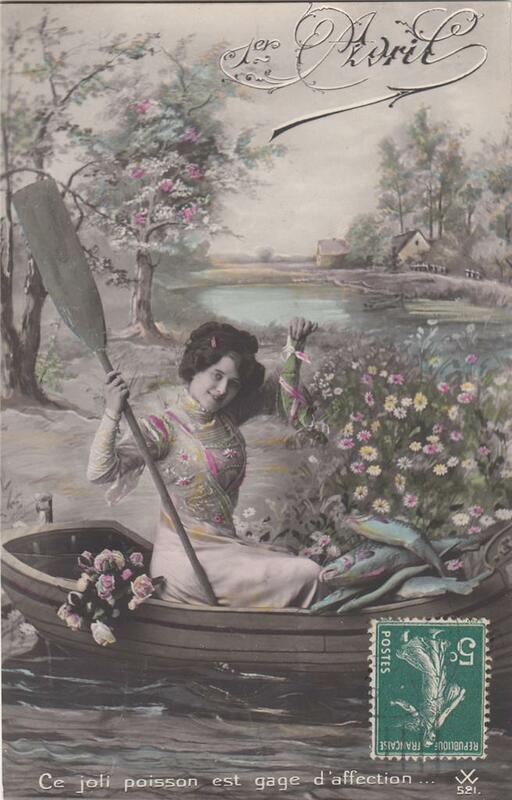 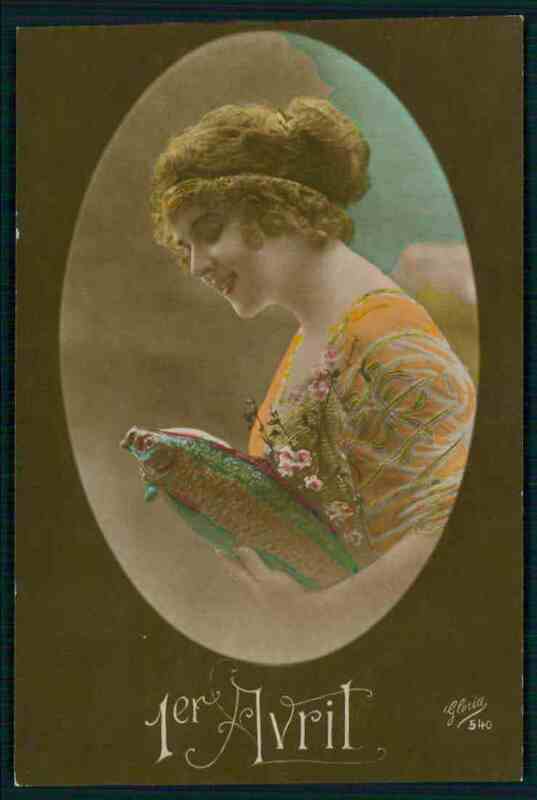 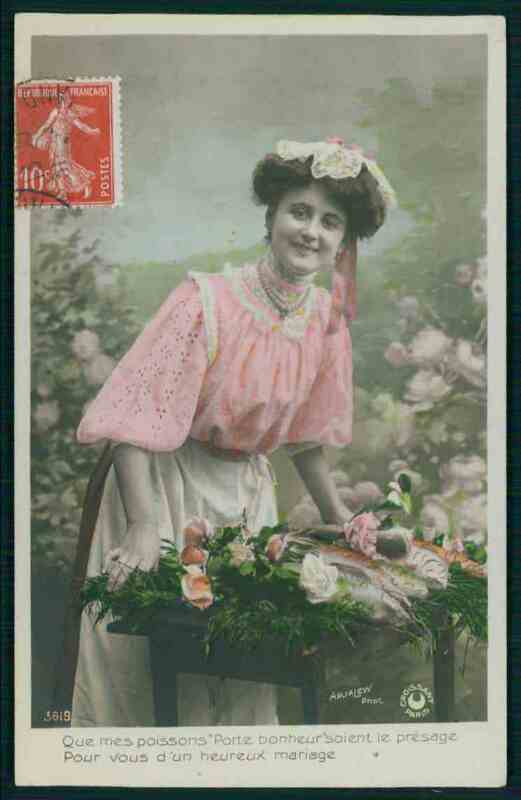 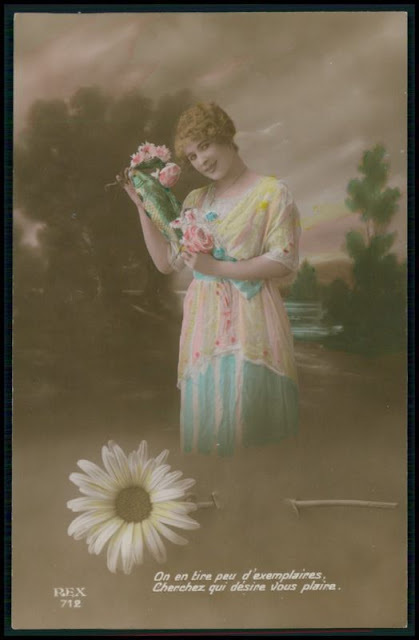 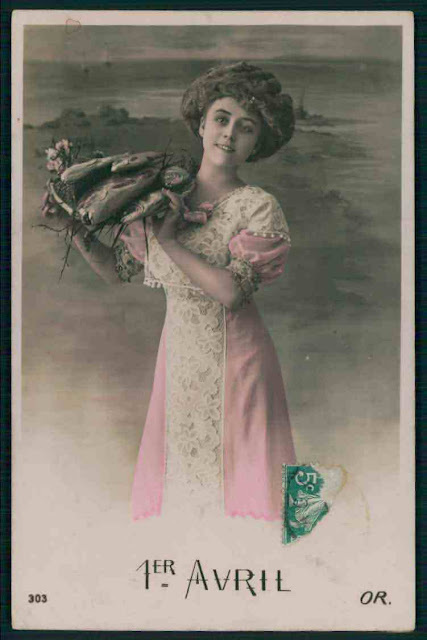 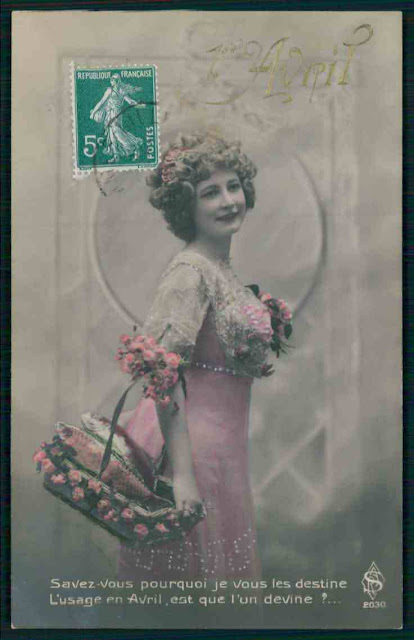 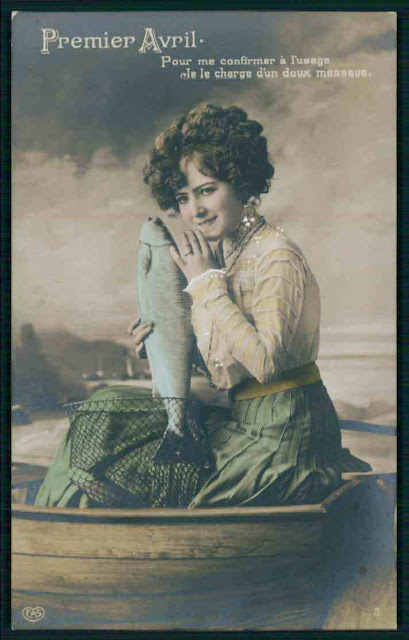 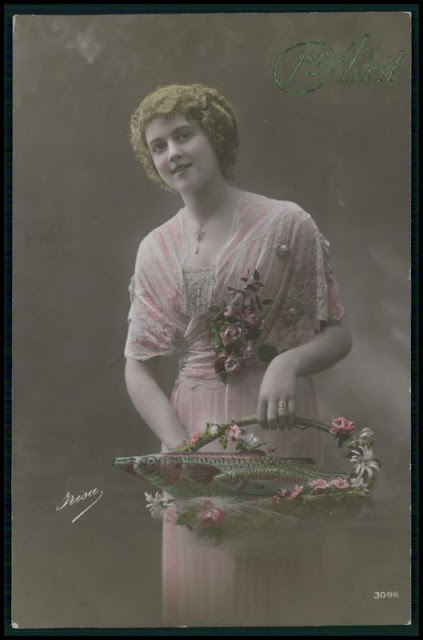 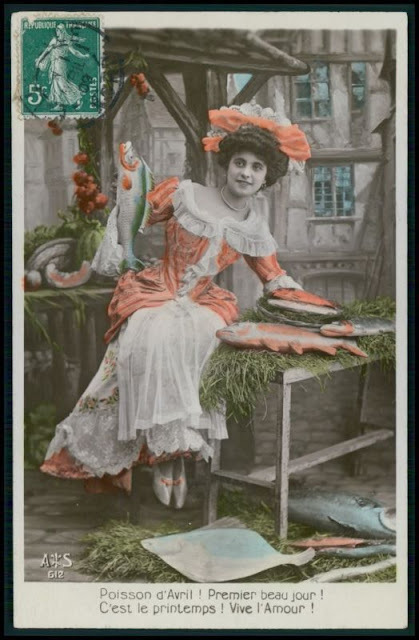 Below you will find a collection of funny vintage French postcards from the 1910s that feature pretty women. 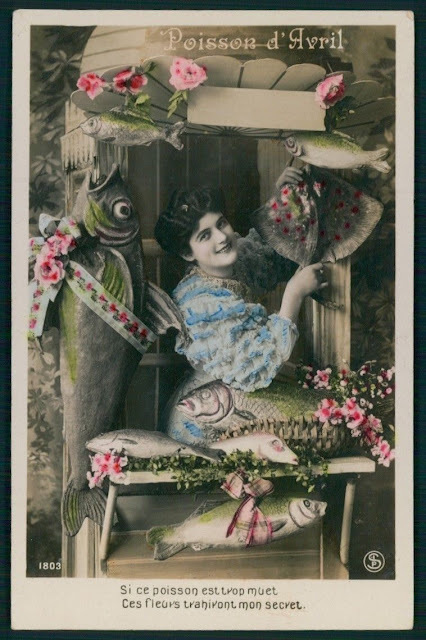 All of them obligatory have fish somewhere in the composition.